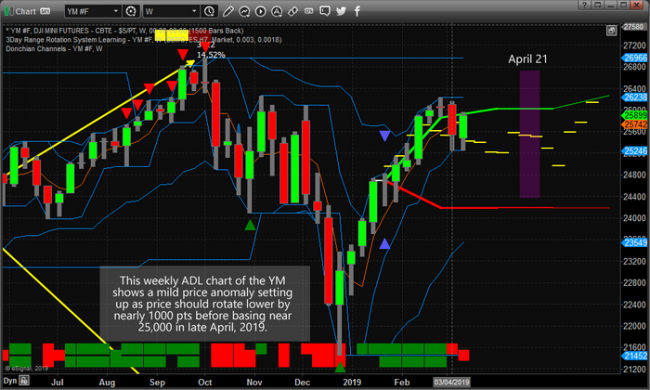 Our Advanced Dynamic Learning (ADL) price modeling system is suggesting the rotation in the US stock market may stay somewhat muted before this move on April 21 begins. The ADL predictive modeling system is one of our proprietary price modeling utilities that our research uses to identify key levels of future support and resistance as well as to watch for price anomalies that setup. 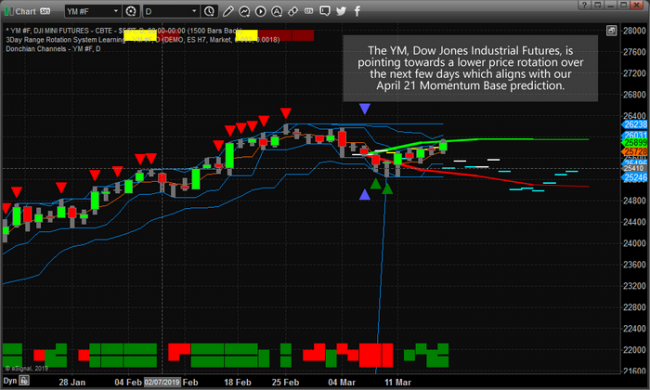 Price anomalies are where the current price level of any symbol is greatly diverted from the ADL predictive price level. When this happens, the price will usually revert back to near the ADL levels at some point in the immediate future sometimes setting up a great trading opportunity. Please take a minute to visitwww.TheTechnicalTraders.comto learn more about what we do and how we can help you stay ahead of these market moves.We take great pride in our ability to provide our members and followers with the highest level of research, trading signals, daily video content and more. Find our why our hundreds of members continue to believe in the opportunity we provide them each and every day. Isn't it time you invested in your future success today?